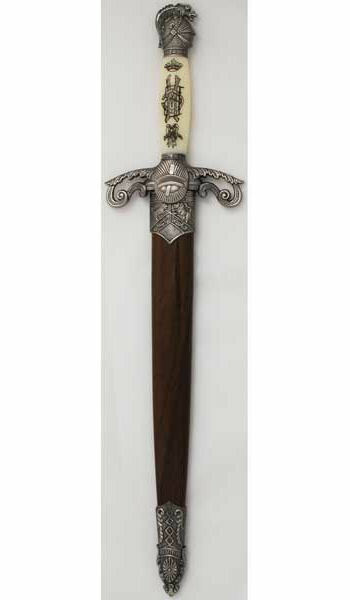 The Herald's Athame features an elaborate, engraved cross guard, a pommel shaped as a knight's helmet, and a decorative sheath. Cannot ship to MA or CA. 12" - 7 1/2" blade.